The Walter J. & Betty C. Zable Foundation is a private foundation founded in 1997. Building on a lifetime of community philanthropy the Walter J. and Betty C. Zable Foundation was established to carry on their wishes to support science; athletics, and care to those in our community in need. Upon the passing of Walter J. Zable the foundation is now governed by the independent directors he appointed to carry on the mission of his philanthropy. 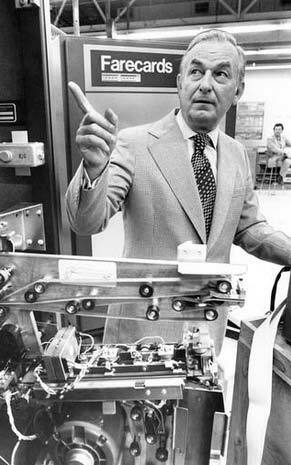 Walter J. Zable was the founder and chief executive officer of San Diego-based Cubic Corporation for over six decades. He formed the company in 1951 and took it public in 1959. Today, Cubic is a market leader in the national defense and mass transportation industries and is traded on the New York Stock Exchange. Zable died in June 2012 at the age of 97 due to natural causes. He was known to be the world’s oldest CEO of a publicly traded company at the time of his death. As a young man Zable had a passion for sports and electronics. His love of sports earned him an athletic scholarship at the College of William and Mary. In his senior year he was named an All-American football receiver honorable mention. Walter graduated in 1937 with a degree in Physics. He lettered in football, baseball, basketball and track and field. For his athletic accomplishments he was named to the William & Mary Sports Hall of Fame in 1969. Walter went on to earn a master’s degree in physics and mathematics from the University of Florida in 1939. After college Walter played semi-professional football for the Richmond Arrows in the short lived Dixie league a predecessor to the National Football League. York City and eventually she and Walter married and moved to San Diego in 1951. She worked at Cubic Corporation when it was founded helping to support her husband’s new company. Walter and Betty had two children, Walter C. Zable and Karen Cox. Betty died in 2007. 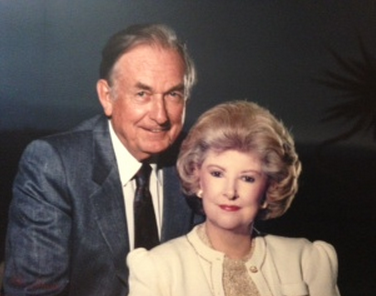 With the success of Cubic Corporation over the years, Walter and Betty Zable became very involved with philanthropy. They contributed too many local San Diego based and national charities over the years with an emphasis on science, athletics and supporting those in need. In 1990, Walter and Betty Zable donated $10 million to the College of William & Mary for scholarships, graduate student aid and other programs. In support of the donation the college renamed its football stadium the Walter J. Zable football stadium. In June of 2005 the City of San Diego recognized the Zable contributions to the community and technology by declaring “Walter J. Zable Day” in his honor. Upon his passing, in 2012 the United States Congress lowered the Capital flag to half mass and Governor Jerry Brown declared “Walter J. Zable Day” in the state of California. © 2019 Walter J. & Betty C. Zable Foundation. Site by TwinBees.